This piece is the result of a design exercise between three Mexican designers, using as a guideline a design by Shiro Kuramata. 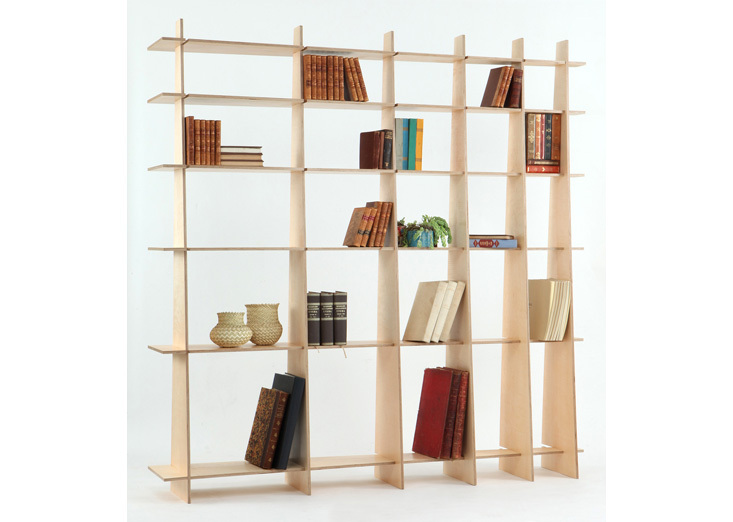 The bookshelf is assembled with 12 identical pieces, without any hardware or glue. 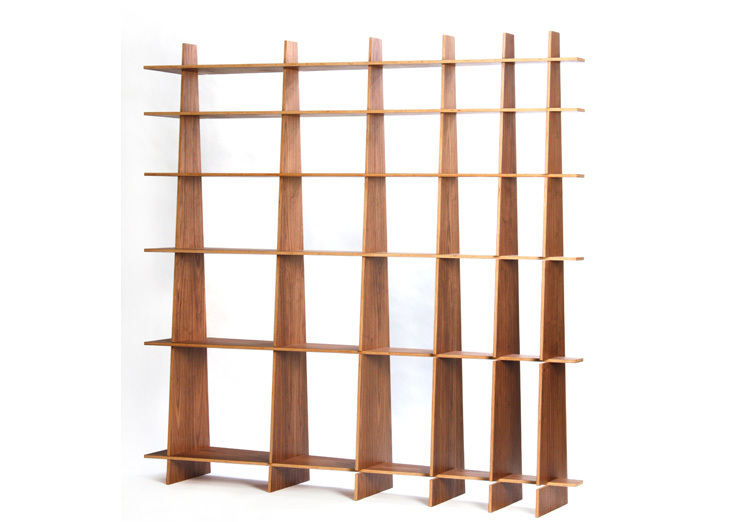 Kuramata’s design from 1972, 64 book shelves, starts with one small square shelf on one corner and finishes with a big square shelf on the opposite, creating a grid that grows in two axis. 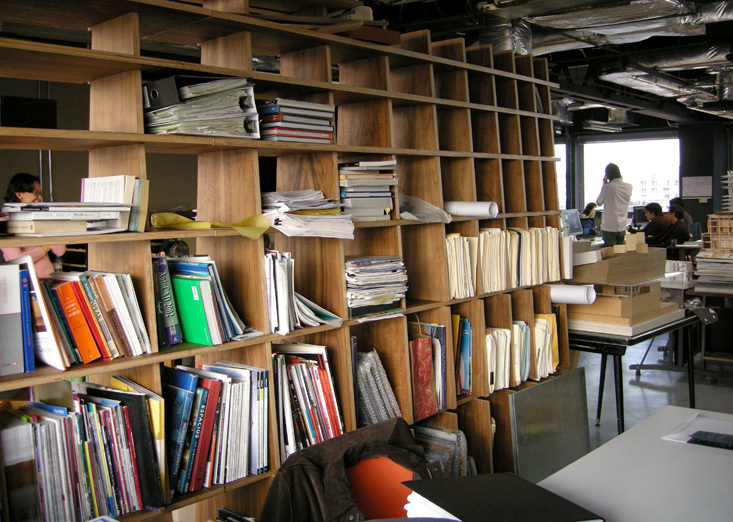 Our three basic design guidelines were to take that growth to the third dimension, the depth of the shelf, to assemble the whole bookshelf by the repetition of a single piece, and to do so without hardware, glue or fasteners. The bookshelf is thus flat packed. The original SAK is 183 x 183 cm, and was manufactured originally by a now extinct, Mexican boutique design brand called 70m2. It is now manufactured by Pirwi in five different sizes.